Darina Allen’s life and work come together in a stupendous new book. Formidable. There’s no other word that can do justice to Darina Allen’s new book, Grow Cook Nourish. This is a formidable work. It’s formidable in scale – almost 650 pages – and formidable in ambition – the book is as much a gardening bible as a cookery bible. But the most formidable aspect of GCN is that it manages to capture a life’s work. 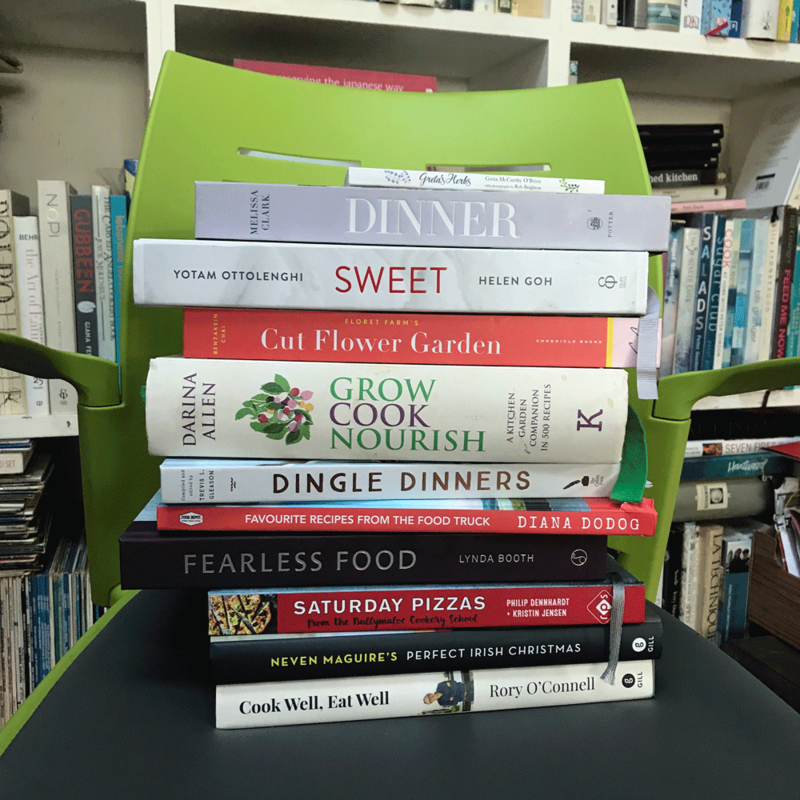 On these pages is the life of Darina Allen, née O’Connell, the kid from Cullahill, County Laois, the student at Cathal Brugha Street, the ingenue in the kitchen at Ballymaloe House, the educator at the Ballymaloe Cookery School, the polemicist and campaigner, the culinary traveller and explorer. That’s a lot of lives in one life, and they are all here. GCN is not just impressive, it’s also one of those rare books that can be described as wise. Mrs Allen’s vision of food is holistic and all-encompassing. She has had the courage, over half a century, to stand up to the scientific reductivists and to reveal their patented propaganda as nothing but snake oil. She has been fearless, as well as formidable. GCN is a book about health, but also a book about wealth: the wealth that comes from living in harmony with productive nature, the wealth that comes from nourishing others, and the planet, and doing the two simultaneously. It’s a Zen manifesto, and a Zen guide: Grow Cook Nourish. Put that little koan up there alongside Michael Pollan’s: “Eat Food. Not too much. Mostly plants.” as a vital pathway for living well. Few of us ever get the chance to paint our masterpiece, but in Grow Cook Nourish Darina Allen has painted hers.